This tutorial presents current compilation techniques for traditional embedded systems, and the role of specific compiler techniques when targeting embedded systems. We focus on the issues of dynamic reconfiguration, temporal and spatial partitioning and custom functional unit synthesis. We will address compilation techniques that are particularly suited to Field-Programmable Gate-Arrays (FPGAs). In particular, this tutorial covers important analysis and mapping techniques for high-level imperative programming languages to FPGAs, seen as an enabling technology for reconfigurable embedded architectures. 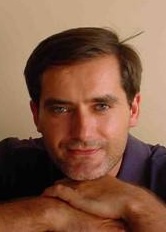 João M. P. Cardoso received an MSc and a PhD degree in Electrical and Computer Engineering from the IST, Lisbon, Portugal in 1997 and 2001, respectively. He is currently Associate Professor at the Department of Informatics Engineering, Faculty of Engineering of the University of Porto. Before, he was with the IST/Technical University of Lisbon (2006-2008), a senior researcher at INESC-ID (2001-2009), and with the University of Algarve (1993-2006). In 2001/2002, he worked for PACT XPP Technologies, Inc., Munich, Germany. He has participated in the organization of a number of conferences (FPL’03, FPL’07, FPL’08, ARC’05, ARC’06 and ARC’07) and he serves as a Program Committee member for various international conferences (e.g., IEEE FPT, FPL, IC-SAMOS, ACM SAC, ARC). He is co-author of a Springer book and co-editor of two Springer LNCS volumes. He has (co-)authored over 70 scientific publications (including journal/conference papers and patents) on subjects related to compilers, embedded systems, and reconfigurable computing. He is a member of IEEE, IEEE Computer Society and ACM. Process based decision support, such as what-if simulations, is especially beneficial in cases where it can be automatically generated out of existing process models and data collected from the already executed process instances. Currently, some of the available Business Process Management (BPM) tools offer basic-level decision support capabilities. However, different parts of real-world business processes are managed with different tools, which influences the end-to-end behaviour of the processes. In this tutorial, a model-transformation based approach called Model-Driven Performance Engineering (MDPE) is presented, which enables the integration of decision support tooling into such process tool chains. Mathias Fritzsche, who joined SAP Research in November 2006, is working as a Research Associate at the Research Center in Belfast. There, he works on different projects enabling industrial adoption of MDE in SAP. As his special interests, he is the originator of Model-Driven Performance Engineering (MDPE) concept, which utilizes model transformations, model annotation, tracing and global model management in order to automate performance related decision support based on business process models. Genesys is a framework for the high-level construction of property conform code generators, targeting platforms as different as the Java Runtime Environmet, BPEL Engines, or even Lego´s LeJOS for steering Mindstorm robots. The tutorial will focus an the impact of service orientation on bootstrapping, retargeting, and evolution of code generators, as well as on their continuous quality control via model checking. 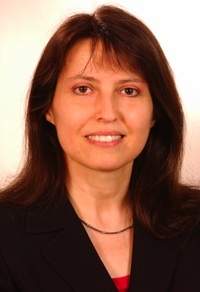 Tiziana Margaria is a full professor of Service and Software Engineering at the University of Potsdam. She is EASST Chair, co-founder and Managing Editor of STTT, International Journal on Software Tools for Technology Transfer (Springer V.) and Editorial of ISSE, the NASA Journal on Innovations in Systems and Software Engineering. She serves on the Steering Committee of ETAPS and SEFM and chaired ICSOC 2008. She is founder of the ISoLA series of symposia and workshops. You can reach her at ed.madstop-inu.sc|airagram#ed.madstop-inu.sc|airagram. Requirements should be specified and structured in a way that their inherent changes must be coped with efficiently. It is now understood that the influence of requirements that cut across other requirements result in incomplete understanding of specified requirements and delimits the architectural choices. Thus, a rigorous analysis of crosscutting requirements and their interactions is essential to derive a balanced architecture. Early Aspects work in tandem with existing requirements approaches, by offering additional abstraction and composition mechanisms for systematically handling crosscutting requirements. Ana Moreira is an Associate Professor at Universidade Nova de Lisboa. She is a member of the Editorial Boards of the journals Software and Systems Modeling and Transactions on AOSD, she serves on the Steering Committee of MODELS and AOSD conferences and she was the Steering Committee Chair for MoDELS’06. Ana is one of the founders of the Early-Aspects and the pUML communities. She was the Program Committee chair for AOSD 2009. Kiama is a lightweight language processing library for the Scala programming language. This tutorial provides an overview of Kiama and examples of its use to solve typical language processing problems. Specifically, we show how to implement parsing, static analysis and transformation to implement a non-trivial domain-specific language. The major processing paradigms used for this task are packrat parsing, attribute grammars and strategy-based rewriting. Anthony Sloane is an Associate Professor in the Department of Computing at Macquarie University, Sydney, Australia where he is leader of the Programming Languages Research group. He is a principal developer of the Eli language processor system, described in the book "Generating Software from Specifications" published in 2007. 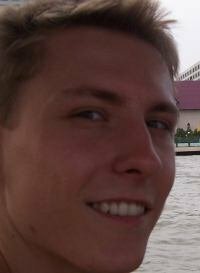 His current work is aiming to make the use of language processing techniques more widespread by embedding them in general purpose languages. Yijun Yu's main interests are automated software engineering and requirements engineering, on which he has co-authored over 35 refereed papers. The tutorial is also based on his collaboration with Michel Wermelinger. Together, they have been working on the automated mining and analysis of architectural and socio-technical changes of software. 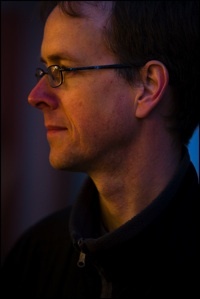 The main interests of Michel Wermelinger, Yijun Yu's co-author, are software architecture and software evolution, on which he has co-authored over 45 full-length refereed papers. He is the programme co-chair of IWPSE/Evol'09.